GIFs are now very popular on the internet - they're easy to share and offer lots of opportunities for laughs. 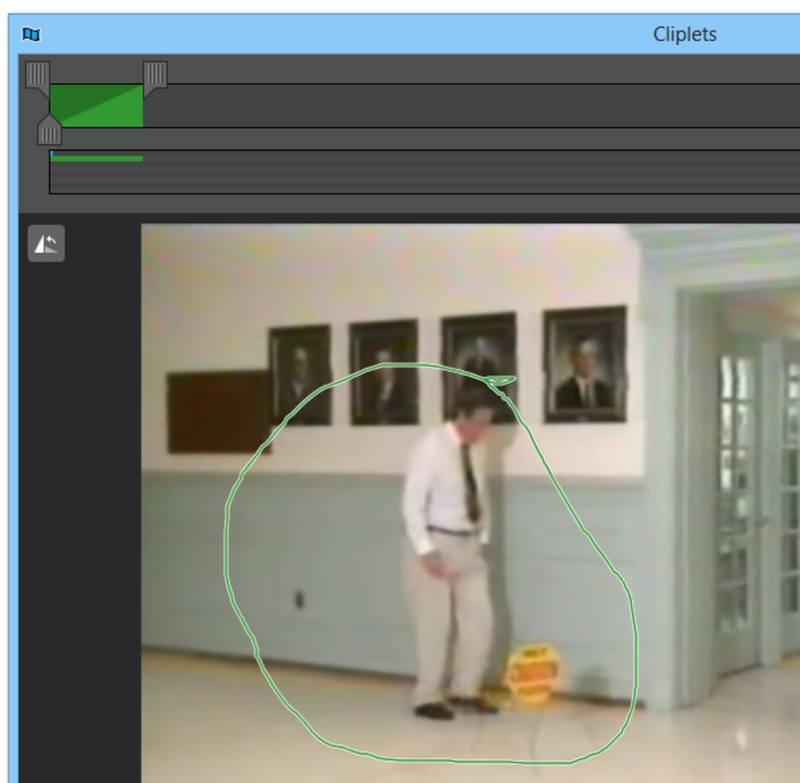 In the same vein, Cliplets converts a video into a static image where one or more elements are in motion. 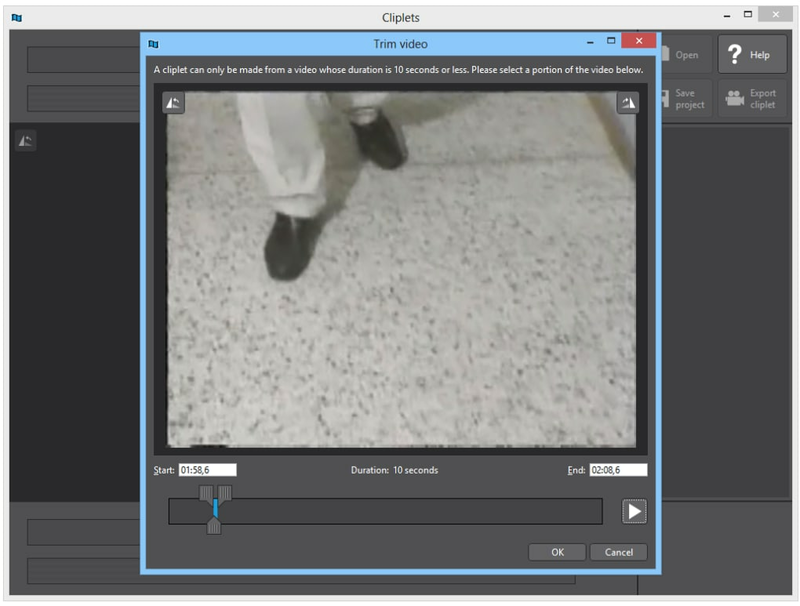 The process is really simple: choose a video in one of the supported formats, select the elements you want to move using a layer for each, assigning it one of four possible movements, and click "Export Cliplet" to get the result in GIF image format or MP4 or WMV video. When it comes to the movements, you can make the element continuously repeat its sequence, go forward and backward in the sequence, or repeat the movement once - among other options. Using the layers you can combine various moves in different elements and create very visually appealing results. Cliplets is really easy to use. 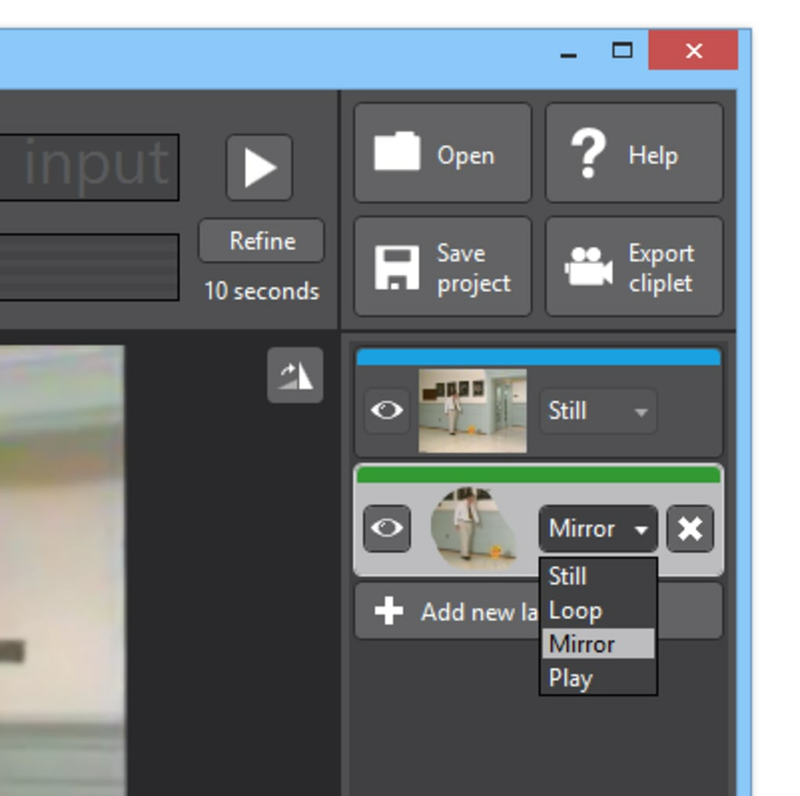 Furthermore, the use of the layers is very intuitive - like an image editor - to use. In addition, to select the moving element all you have to do is draw around it. As for the rest, with Cliplets you only have the option to open a video, save a project for editing later and save the cliplet for sharing. When viewing a cliplet, you'll be surprised at how good the result is, the retouching is barely noticeable and it seems like the original video hasn't been edited. In this sense, the technology behind Cliplets achieves its goal with ease. On the negative side of Cliplets, it is missing an option to customize the quality of the resulting video or GIF, and by default it tends to occupy a lot of space, which does limit the ability to share the GIF online. Cliplets is a tool that will surprise you with the results it can achieve: static images with a single moving element, like an object or a person. The result is really original and the possibilities with Cliplets are endless.